World Autism Awareness Day is just over four weeks away. How are you preparing? In my house, I’ll start bringing out my exterior blue light bulbs and hanging the Autism Awareness ribbon garden flag in a couple of weeks. I’ll get my Highlight It Up Blue hair extensions and wear my button on my jacket. I love it when schools plan their activities thoughtfully. While many of us are “aware” of autism, how can we make that meaningful? How do we hone awareness to understanding, and channel understanding to acceptance? At one school, the parent-teacher organization has decided that Good Friend‘s curriculum is worthy of an annual budget item. They are so prepared for our return that our Awareness-Acceptance-Empathy message has become part of their school culture. And that culture is inclusive of students with autism spectrum disorder (ASD). By giving the school community a common vocabulary for discussing ASD, we’ve also encouraged budding self-advocates. One student, pictured below, took the pole position in the presentation for his grade level this year. He came up to the front of the class, explaining what autism is like for him. Of particular wonder was his self-coined term, “brain overload”. He said that when there’s too much information coming in (as sensory input), he gets confused and needs some quiet time to get re-organized. He shared his strengths and his interests, encouraging classmates to look beyond some of his autistic symptoms to see the person who wanted connection. And it was our pleasure to provide a positive platform for self-disclosure today for another student with ASD in middle school. We don’t want to “out” a student with autism in front of his peers in 6th-8th grade, but give him an opportunity to share (or not) about how his differently-wired brain impacts him. The student knew we were coming and the topic of our presentation. We took our cues from him as we discussed the science of autism with the class. 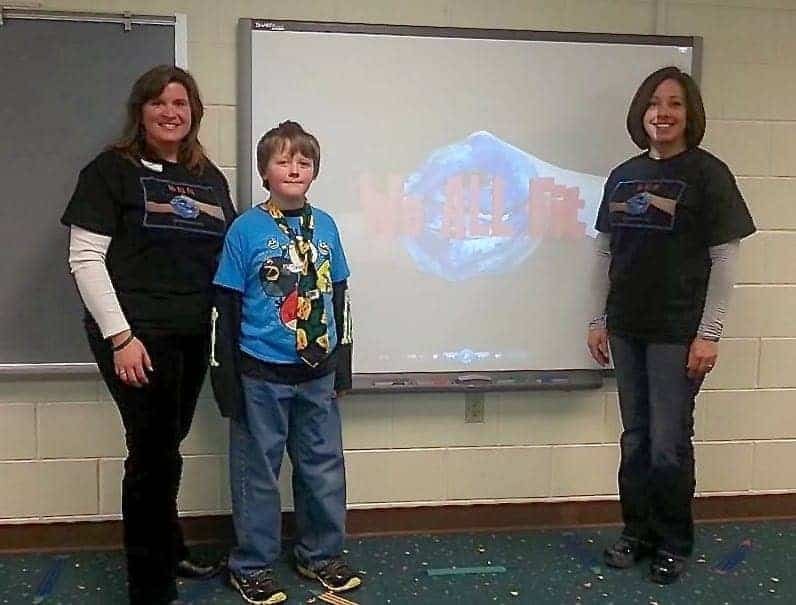 And while he was participating by answering general questions throughout the first 20 minutes, at minute 23 of 60, he began to connect himself with ASD in front of his classmates. Following the 16-minute screening of Choosing To Be a GFF, the last third of the Individualized Classroom Presentation was so very meaningful as he continued to engage. Certainly, those middle schoolers are aware of autism. And they understand. Time will reveal the level of acceptance they extend. And we look forward to hearing about it!